The following oral history is a compilation of interviews, emails, transcripts, and lyrics, all pertaining to the personal and professional lives of the members of the band The Six and singer Daisy Jones. Some people were easier to track down than others, some were more willing t... read full description below. 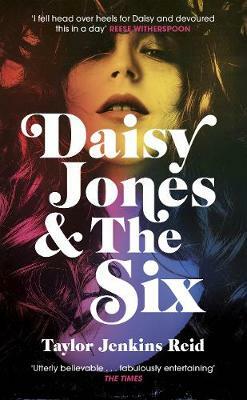 In 1979, Daisy Jones and The Six split up. Together, they had redefined the 70's music scene, creating an iconic sound that rocked the world. Apart, they baffled a world that had hung on their every verse. This book is an attempt to piece together a clear portrait of the band's rise to fame and their abrupt and infamous split. The following oral history is a compilation of interviews, emails, transcripts, and lyrics, all pertaining to the personal and professional lives of the members of the band The Six and singer Daisy Jones. While I have aimed for a comprehensive and exhaustive approach, I must acknowledge that full and complete accounts from all parties involved has proved impossible. Some people were easier to track down than others, some were more willing to talk than others, and some, unfortunately, have passed on. All of which is to say that while this is the first and only authorised account from all represented perspectives, it should be noted that, in matters both big and small, reasonable people disagree. The truth often lies, unclaimed, in the middle.